The highly-anticipated announcement is here! Tickets for the 24th Annual Chosen Few Picnic are now on sale. 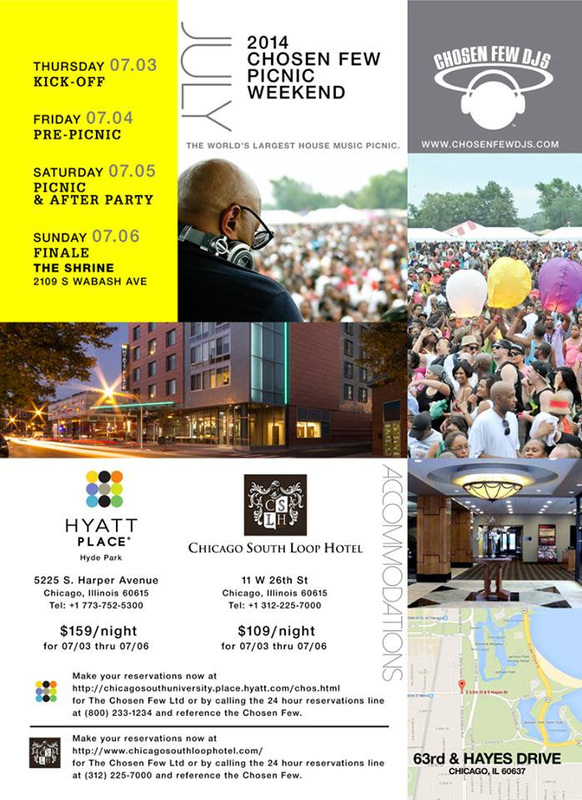 The picnic will be held on Saturday, July 5, 2014, at 63rd and Hayes Drive, in Chicago, IL. Given the enormity of this galvanic event, many people choose to make a FULL WEEKEND out of it, as there will be events running from Thursday, July 3rd, THROUGH, Sunday, July 6th. This will be a massive event, and we have used the term “festival” to describe it for several years now. We are betting on maxed-out numbers–to the tune of 60,00+! They raise the bar every year, and anticipation grows every year. Enough said! 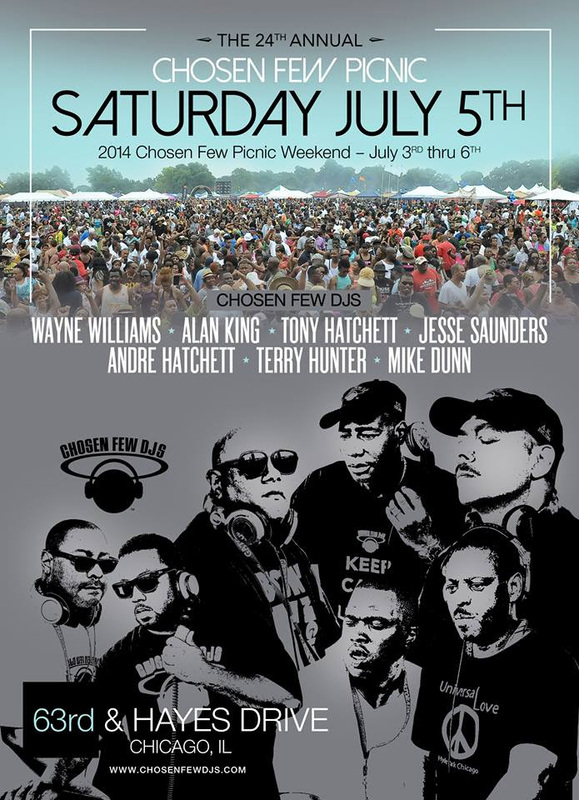 Advance tix/VIP packages for 24th annual Chosen Few Picnic!